While Lehman’s huge indebtedness and other mistakes have been well documented, the $30 million study by Anton Valukas, assigned by the bankruptcy court, contains a number of surprises and new insights, several Wharton faculty members say. Among the report’s most disturbing revelations, according to Wharton finance professor Richard J. Herring, is the picture of Lehman’s accountants at Ernst & Young. “Their main role was to help the firm misrepresent its actual position to the public,” Herring says, noting that reforms after the Enron collapse of 2001 have apparently failed to make accountants the watchdogs they should be. The use of outside entities to remove risks from a company’s books is common and can be perfectly legal. And, as Wharton finance professor Jeremy J. Siegel points out, “window dressing” to make the books look better for a quarterly or annual report is a widespread practice that also can be perfectly legal. Companies, for example, often rush to lay off workers or get rid of poor-performing units or investments, so they won’t mar the next financial report. “That’s been going on for 50 years,” Siegel says. Bushee notes, however, that Lehman’s maneuvers were more extreme than any he has seen since the Enron collapse. Wharton finance professor professor Franklin Allen suggests that the other firms participating in Lehman’s Repo 105 transactions must have known the whole purpose was to deceive. “I thought Repo 105 was absolutely remarkable – that Ernst & Young signed off on that. All of this was simply an artifice, to deceive people.” According to Siegel, the report confirms earlier evidence that Lehman’s chief problem was excessive borrowing, or over-leverage. He argues that it strengthens the case for tougher restrictions on borrowing. In his report, Valukas, chairman of the law firm Jenner & Block, says that Lehman disregarded its own risk controls “on a regular basis,” even as troubles in the real estate and credit markets put the firm in an increasingly perilous situation. The report slams Ernst & Young for failing to alert the board of directors, despite a warning of accounting irregularities from a Lehman vice president. 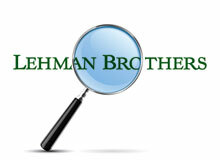 The auditing firm has denied doing anything wrong, blaming Lehman’s problems on market conditions. Much of Lehman’s problem involved huge holdings of securities based on subprime mortgages and other risky debt. As the market for these securities deteriorated in 2008, Lehman began to suffer huge losses and a plunging stock price. Ratings firms downgraded many of its holdings, and other firms like JPMorgan Chase and Citigroup demanded more collateral on loans, making it harder for Lehman to borrow. The firm filed for bankruptcy on September 15, 2008. Prior to the bankruptcy, Lehman worked hard to make its financial condition look better than it was, the Valukas report says. A key step was to move $50 billion of assets off its books to conceal its heavy borrowing, or leverage. The Repo 105 maneuver used to accomplish that was a twist on a standard financing method known as a repurchase agreement. Lehman first used Repo 105 in 2001 and became dependent on it in the months before the bankruptcy. Repos, as they are called, are used to convert securities and other assets into cash needed for a firm’s various activities, such as trading. “There are a number of different kinds, but the basic idea is you sell the security to somebody and they give you cash, and then you agree to repurchase it the next day at a fixed price,” Allen says. In a standard repo transaction, a firm like Lehman sells assets to another firm, agreeing to buy them back at a slightly higher price after a short period, sometimes just overnight. Essentially, this is a short-term loan using the assets as collateral. Because the term is so brief, there is little risk the collateral will lose value. The lender – the firm purchasing the assets – therefore demands a very low interest rate. With a sequence of repo transactions, a firm can borrow more cheaply than it could with one long-term agreement that would put the lender at greater risk. Under standard accounting rules, ordinary repo transactions are considered loans, and the assets remain on the firm’s books, Bushee says. But Lehman found a way around the negotiations so it could count the transaction as a sale that removed the assets from its books, often just before the end of the quarterly financial reporting period, according to the Valukas report. The move temporarily made the firm’s debt levels appear lower than they really were. About $39 billion was removed from the balance sheet at the end of the fourth quarter of 2007, $49 billion at the end of the first quarter of 2008 and $50 billion at the end of the next quarter, according to the report. Bushee says Repo 105 has its roots in a rule called FAS 140, approved by the Financial Accounting Standards Board in 2000. It modified earlier rules that allow companies to “securitize” debts such as mortgages, bundling them into packages and selling bond-like shares to investors. “This is the rule that basically created the securitization industry,” he notes. FAS 140 allowed the pooled securities to be moved off the issuing firm’s balance sheet, protecting investors who bought the securities in case the issuer ran into trouble later. The issuer’s creditors, for example, cannot go after these securities if the issuer goes bankrupt, he says. Because repurchase agreements were really loans, not sales, they did not fit the rule’s intent, Bushee states. So the rule contained a provision saying the assets involved would remain on the firm’s books so long as the firm agreed to buy them back for a price between 98% and 102% of what it had received for them. If the repurchase price fell outside that narrow band, the transaction would be counted as a sale, not a loan, and the securities would not be reported on the firm’s balance sheet until they were bought back. This provided the opening for Lehman. By agreeing to buy the assets back for 105% of their sales price, the firm could book them as a sale and remove them from the books. But the move was misleading, as Lehman also entered into a forward contract giving it the right to buy the assets back, Bushee says. The forward contract would be on Lehman’s books, but at a value near zero. “It’s very similar to what Enron did with their transactions. It’s called ’round-tripping. '” Enron, the huge Houston energy company, went bankrupt in 2001 in one of the best-known examples of accounting deception. Lehman’s use of Repo 105 was clearly intended to deceive, the Vakulas report concludes. One executive email cited in the report described the program as just “window dressing.” But the company, which had international operations, managed to get a legal opinion from a British law firm saying the technique was legal. The Financial Accounting Standards Board moved last year to close the loophole that Lehman is accused of using, Bushee says. A new rule, FAS 166, replaces the 98%-102% test with one designed to get at the intent behind a repurchase agreement. The new rule, just taking effect now, looks at whether a transaction truly involves a transfer of risk and reward. If it does not, the agreement is deemed a loan and the assets stay on the borrower’s balance sheet. The Vakulas report has led some experts to renew calls for reforms in accounting firms, a topic that has not been front-and-center in recent debates over financial regulation. Herring argues that as long as accounting firms are paid by the companies they audit, there will be an incentive to dress up the client’s appearance. “There is really a structural problem in the attitude of accountants.” He says it may be worthwhile to consider a solution, proposed by some of the industry’s critics, to tax firms to pay for auditing and have the Securities and Exchange Commission assign the work and pay for it. The Valukas report also shows the need for better risk-management assessments by firm’s boards of directors, Herring says. “Every time they reached a line, there should have been a risk-management committee on the board that at least knew about it.” Lehman’s ability to get a favorable legal opinion in England when it could not in the U.S. underscores the need for a “consistent set” of international accounting rules, he adds. Some financial industry critics argue that big firms like Lehman be broken up to eliminate the problem of companies being deemed “too big to fail.” But Siegel believes stricter capital requirements are a better solution, because capping the size of U.S. firms would cripple their ability to compete with mega-firms overseas. While the report sheds light on Lehman’s inner workings as the crisis brewed, it has not settled the debate over whether the government was right to let Lehman go under. Many experts believe bankruptcy is the appropriate outcome for firms that take on too much risk. But in this case, many feel Lehman was so big that its collapse threw markets into turmoil, making the crisis worse than it would have been if the government had propped Lehman up, as it did with a number of other firms.